Healthy and respectful working relationships are a must if you want an effective and enjoyable workplace. In the first post of this series, I introduced John Gottmann’s work on the 4 Horsemen of the Apocalypse. In the second post, we looked at what you can do to tackle the toxic behaviours of criticizing & blaming and defensiveness. This blog post will dive deeper into the last 2 toxic behaviours – and possibly the most damaging of the 4: stonewalling & contempt. We’ll explore why they happen, their impact and how both parties can change things for the better. We’ll end with what a manger can do when they see these behaviours within their teams. Contempt is when somebody makes it clear that they feel somebody has no value and deserves no respect. As it has been built brick-by-brick over time, it is tough to dismantle, and is probably the most destructive behaviour amongst Gottman’s “Four Horsemen”. Contempt can manifest itself as ongoing sarcasm, cynicism, insults and aggressive, belittling or mocking humour. It can be seen in small gestures (eye-rolling when a colleague starts talking in a meeting, snorting at the mention of a project, a smirk or a single “hah” when a colleagues name is mentioned) to full on mocking and cruel statements e.g. “Wow, you’ve done better than I ever expected – even by your standards that’s truly great work Susanne. You must be exhausted after having made so many mistakes”. When somebody shows contempt, they are actually communicating that they see themselves as better and worth more. Why do we do show contempt? Feelings of contempt are typically built up over time – negative experiences create their own story and, too often, nobody has tackled the situation effectively. This can leave a person feeling frustrated and angry and looking to establish some sort of “superiority”. Contempt can also come from a sense of moral superiority based on class, cultural or religious differences. Peers can feed into it or enable it. What happens when we show contempt? Contempt destroys teams and relationships. It prevents trust and respect and makes it hard for any real human warmth. It is tangibly damaging, causes stress and can harm people emotionally, mentally and ultimately physically. So, what can the person showing contempt do differently? seeing the other person as a human being with equal value. seeking a positive trait in them and acknowledge it first to yourself and then to the other. finding something they do that you value – then tell them. actively looking to find opportunities to make deposits in their “emotional bank account”. And what can the person receiving contempt do to limit the toxic impact and turn things around? Look after yourself and work to stay balanced and neutral when interacting with this person. Shut out the unhelpful “whatever I do will be seen as wrong” self- talk. Reward yourself for not feeding into a situation. And when things get too much, don’t be afraid to seek support within your organization. When you do this focus on you and your feelings… and not what they said/did. And finally, know where your limits are and seek support from your manager or HR if you feel these are being crossed. When somebody feels they are frequently and undeservedly being blamed or treated with contempt, they may choose to withdraw into themselves and give one-word answers or even refuse to participate at all. Discussion, healthy questioning and positive conflict are key elements of any successful team. Stonewalling stops this from happening, and feeds contempt, defensiveness and blaming. Why do we do stonewall? By refusing to cooperate, engage, react or communicate we look to protect ourselves and ride it out. Beneath this we may be seeking to control or establish hierarchy e.g. “I don’t need to listen to you”. What happens when we do this? The impact is that communication stops. The other person may become increasingly frustrated, angry and then despondent. Communication collapses and relationships quickly collapse too. Other colleagues get pulled in to the toxic situation as they become impacted, and everything gets slower and tougher … meaning ultimately performance and results suffer. So, what can the “stonewaller” do differently? focus on who you choose to be – who am I really? How do I want to behave? How do I behave when I am at my best? ask for space if you need it, and commit to resume once things have calmed down. find a way to calm your emotions. Is there a third party you can express your feelings to? Alternatively, verbalize them out loud to yourself (or write them down if you prefer). work out why you have reached this point. Why are you so angry and reluctant to contribute? Answering these questions may help you to understand your feelings better and enable you to continue. And what can the “stonewalled” do to limit the toxic impact? Ask yourself why are they stonewalling? What are you doing/have you done that is making the other person not feel safe in expressing themselves? Focus on building safety. Agree a fixed time, neutral and private location, confidentiality and help them come back into the conversation with simple exploratory open questions. Accept that a break might be needed and press the “pause” button while communicating that you are committed to continuing the conversation later. What can a manager do when they see contempt and stonewalling within their team? What is the impact of the behaviour on the team and our results? What can I accept? What can’t I accept? Where is my line in the sand? Where is the contempt or stonewalling coming from? e.g. why this person? this situation? this environment? How willing am I to reflect back what I am seeing? The impact it is having? And the impact it may have later? Am I prepared and committed to consistently confront contemptuous or stonewalling behaviors over the long-term? To what extent can I ring-fence a person without impacting the team or passing more work and responsibility on to others? Am I choosing to do nothing? Or am I afraid to do something? Who else can help me in this situation? To what extent has HR been involved so far? What can they do? Under what circumstances am I prepared to let this person go? Whether you are just moving into a management position, managing a conflict in your virtual team, or just want to get the very best from your staff and the teams you manage, being aware of Gottmann’s work on the 4 Horsemen of the Apocalypse is incredibly useful and practical. At the end of the day, results are delivered through people and people are complex. None of us are always at our best and we can all struggle in relationships. Awareness of the 4 Horsemen is a start, followed by self-reflection and support. An effective manager is neither a counsellor nor a buddy – but they do need to manage people as individuals – and this means managing knowledge, skills, attitudes and behaviours. Healthy working relationships are a must if you want an effective, efficient and enjoyable workplace. In our last blog post I introduced John Gottmann’s work on the 4 Horsemen of the Apocalypse ; criticizing & blaming, defensiveness, contempt and stonewalling. We explored why tackling these 4 toxic behaviours is essential if you want to drive performance and deliver results. This blog post will dive deeper into the first 2 toxic behaviours. We’ll look at criticising & blame AND the defensiveness it creates. We’ll then explore why they happen, their impact and how both parties can change things for the better. Finally, we’ll look at what you as a manager can do when you run into these behaviours between team members. As every manager knows, when things go seriously wrong it is important to discuss “What happened?” and to ask “How can thing be done differently next time?”. Being able to do this in a transparent, open and constructive manner is hugely powerful. Jim Collins explores this with the “autopsy without blame” behaviour in his excellent bestseller Good to Great. For “autopsy without blame” to work, you need people to feel safe – you need to detoxify criticism & blaming in the workplace. Clearly criticizing and blaming aren’t helpful or productive behaviours – but if we are honest with ourselves we have all displayed them at some point. Why do we do blame and/or criticize others? We have made up our mind about what happened and want to either hold somebody responsible or change somebody else’s behaviour. We tell ourselves we are just “giving feedback”, “holding others accountable” or “saying it how it is”. The typical (and often unintended) impact is that the receiver becomes defensive (the second of the 4 Horsemen) and constructive communication stops. The receiver will probably be less open about what actually happened as they don’t feel safe – and possibly even become dishonest, holding information back or reframing things. Alternatively, the receiver feels threatened and fights back with criticism or blame. None of this is very productive or beneficial for a healthy professional relationship. So, what can the “blamer” do differently? take responsibility for your own feelings – and don’t lay them on the “receiver”. be open and curious about what happened. Look to understand first. use “I” language and not “you” language e.g. “I have the impression that… / To me this comes across as…”. examine how you can actively contribute to a solution – it is unlikely you are completely powerless, and you will feel better if you are aware of what you can change and control regardless of what the other does. be future-oriented. Again, look to understand so things can be better in the future. Mapping out on a piece of paper what happened and contributing factors can be a powerful and safe tool. apologize when appropriate – did you intend to “attack”? It could be you do not feel you were being critical or had a different intent, but what matters is how the other experienced it. What can the “blamed” do to limit the toxic impact? assume their intentions are good. They are not intentionally trying to hurt you, nor do they want you to “feel useless”. They just aren’t doing a very good job of communicating. listen and try to find a reasonable request embedded in their “complaint”. focus on your relationship. If they are “blaming”, what are their needs? resist the urge to fight back – don’t get stuck in a “who is doing what to who” spiral. stay calm, assertive and openly empathic. try to refocus the discussion on the future. As above, mapping out what happened and contributing factors helps. help them to refocus on your relationship. The toxic behaviour of “defensiveness” often follows feeling criticized or blamed. It is a natural fight/flight response and, just like criticism & blaming, defending is very much about the past rather than the future. Defending can look like excuses, denying responsibility, or even blaming the other (“I’m not the problem here – you’re the problem!”). Defensiveness rarely helps move things forward. Why do we do defend ourselves? We defend to preserve our own sense of self. We want to preserve our self-identity, our sense of integrity and of being right/fair/committed/competent etc. We are protecting our ego from criticism and can swiftly start to behave like the “victim”. The unintended impact is that conflict either festers or escalates. Either way, the relationship suffers. Being defensive also prevents the autopsy and understanding of the problem, which in turn prevents finding sustainable and realistic solutions. So, what can the “defender” do differently? Really listen …. really, really listen. Shut out unhelpful self-talk and use active listening skills. Connected to the above, look to clarify what you think you are hearing. Now look for the “10%” of truth. It is incredibly unlikely that the other person is making everything up. Ignore the criticism and focus on the issue that is being raised. Even if you disagree with what they are saying and how they are saying it, there is probably some truth in there somewhere which connects to you and your part in the situation. And once you have considered your contribution to the problem, accept and embrace your personal responsibility for the problem. Everybody is wrong sometimes. And what can the “attacker” do to limit the toxic impact of defensiveness? Explicitly and authentically clarify your intention. Work to help them understand that your intention is not to hurt them. You just want to have a tough conversation because this is important to you. Make them feel safe if you can. Again, really listen … talk less and listen more. Clarify what is being heard by the other person. Use “I” language and not “you” language. And reassure them that their image or reputation is not at stake. You are focusing on this situation and not everything in the past, present and future. Reconnect to trust (past and future). What can a manager do when they see criticism, blame and defensiveness within their team? Create a safe environment and build trust by sharing personal experiences of being on both ends – focus on the immediate and longer-term impact of the behaviour on individuals, team and results. Be careful not to lecture, and instead share your perceptions and experiences. Refocus the team on what happens next time (and reinforce this future-orientation when somebody starts using past tenses). When you run into a pattern where an individual is regularly criticizing and blaming others, don’t be afraid to assert your power as a manager and deliver feedback on the destructive behaviour you are seeing. Then, keep an eye out for this behaviour continuing under the surface or transforming into contempt. In the 3rd and final part of this series we’ll look at how you can tackle and overcome the remaining 2 “horsemen” – stonewalling and contempt. Since 2015 we’ve been heavily involved in a Management Development program for one of the big 4 accounting firms in Luxembourg. One of the many rewarding aspects of being involved in such large flagship projects, is the chance to co-train with other management trainers and learn from each other. In 2017, thanks to Alexandra D, I discovered John Gottman’s work and since then I’ve seen it help people in and out of work with the relationships that most matter to them. If (like me) you haven’t heard of him, John Gottman is a highly respected psychologist and relationship expert, who with his wife, Julie, leads The Gottman Institute [ https://www.gottman.com/]. Gottman studied relationships between spouses and couples for over two decades and discovered patterns of behaviour that he could use to predict which relationships would not survive with over 90% accuracy. Although his research and calling focuses exclusively on couples, his thoughts and methods easily transfer to our professional lives and our workplace relationships too! Gottman believes that there are 4 negative kinds of behaviour that can destroy relationships. This 2-minute video introduces them nicely. blaming and criticism – attacking your partner’s character, behaviour or personality. defensiveness – seeing yourself as the victim to pre-empt or ward off attacks and blaming others for your failures. contempt – attacking your partner’s sense of self with sarcasm or cynicism to insult or abuse them. stonewalling – withdrawing from the relationship and any meaningful connection. Gottman calls these 4 destructive behaviours “the Four Horsemen of the Apocalypse”. I’ve also heard coaches and trainers rename them “The Four Team Toxins” in an effort to make them sound more business-relevant. And let us be honest – we have all probably displayed these 4 toxic behaviours and acted in a toxic way at one time or another. We are human. And whether you want to call them “the 4 horsemen” or “the 4 team toxins”, these behaviours matter in the workplace – and in a very tangible way. These behaviours are toxic to an effective, respectful and rewarding workplace. If interpersonal relationships are breaking down, you can expect to see the quality of communication deteriorating. Tasks and projects will take longer, work will be incomplete or below expected standards and, as the behaviours impact productivity, you can expect to see poor results. Motivation, commitment and team spirit will all suffer, and destructive conflicts will increase. And at its worst you’ll see stress, illness and good people leaving because “They’ve just had enough”. If you want to drive performance, you need to tackle them head on. So, what can managers do about the 4 Horsemen of the Apocalypse? being able to recognize when you are behaving negatively. learning to consciously shift your mindset when necessary. be able to recognize when others are behaving negatively. learn to help others understand their behaviours and the impact it may have. be able to tackle difficult conversations with both individuals and teams. learn to help others stop negative spirals and have a fighting chance of turning toxic relationships around. Take responsibility for your own feelings. This starts with you consistently building self-awareness and reflection into your actions. Focus on who you want to be and how you want to be … regardless of what the other person does or says. This is tough but immensely powerful. Do not make assumptions and openly check your findings. 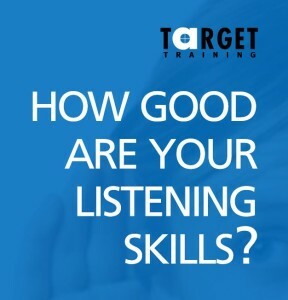 This will help increase others’ willingness to listen and engage in healthy conflict. Deposit into other people’s emotional bank accounts and feed positivity into your relationships: regularly have appreciative conversations and look to show recognition. And when you do see toxic behaviours between team members, tackle them. You have 25 years’ experience in training delivery. When did you start delivering virtual training? James Since the 90s. In the United States we started very early with virtual delivery in the community college system. We often had remote sites of small groups of students who still wanted to take advantage of the kinds of courses that we would offer on the main campus, so we started delivering virtual training . When I started working with virtual training it was extremely expensive to do some of this work. Our system was basically a camera set-up and the professor or the trainer was just speaking to the camera. There was very little interaction available with the other sites and it was like TV school. How would you say that virtual delivery compares with face-to-face delivery? James There are probably two things to think about. One is the content that one delivers and the other is the context. By context I mean everything that surrounds the content. How things are being done, who is interacting with whom and how they are interacting – the richness of the communication. As far as content is concerned, the topic that’s covered, the information that’s shared, I’d say virtual delivery and face-to-face delivery compare quite favourably. In fact, the virtual platforms that we use at Target Training are tailor made for delivering lots of content in interesting ways. It’s very easy to add videos, recordings, to have whiteboards etc. For example, if we have content that is pre-prepared on a slide and made available to people, they can annotate it, they can put questions there etc. That’s really, really easy on a virtual platform. What is harder most of the time is everything that we get from being in the same room as someone. Facial expression change, body language changes. We often don’t see or get that in a virtual environment, even with the market-leading systems. The challenge as a trainer is that we risk missing a large chunk of the information that we would get from participants in a classic face-to-face training session. That is a major challenge. As a trainer in face-to-face training I have a feel for how things are going because I’m in the room. It’s much more difficult to have a feel for how things are going, when you’re in a virtual environment. And you need that “feel” so you can adjust and give the participants the best possible learning experience. What are your workaround strategies for that? James There are workaround strategies and through external and internal training and on-the-job experience our trainers use them. 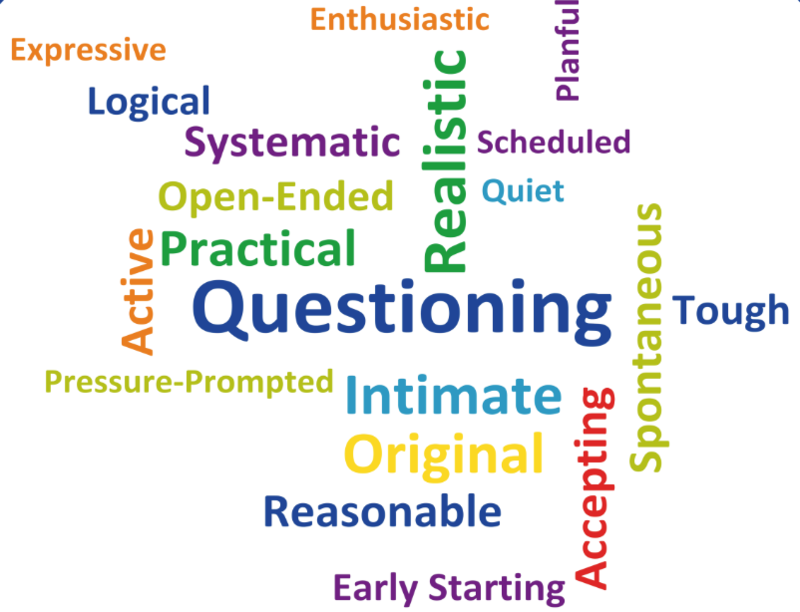 One strategy is that you have to ask a lot of open and closed ‘check questions.’ Questions like “Are you with me?”, “Is that clear?”, “So what are the key points you’re taking from this?”, “What are your questions so far?” Experienced virtual trainers will ask those kinds of questions every 2 to 3 minutes. Essentially, as a trainer you have a 2 to 3 minute time limit for your input before you ask a check question, and the check questions should be both open to the group and targeted at an individual too. Which training themes lend themselves best to virtual delivery and which don’t? James The themes that lend themselves best to virtual delivery are those that are more content focused – for example classic presentation skills training or presentations delivered virtually. 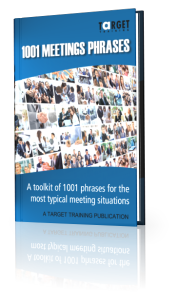 These types of training solutions focus on input, tips, do’s and don’ts, best practice sharing and then practice-feedback -practice – feedback etc. Another theme that works very well for us when delivered virtually is virtual team training, whether it be working in virtual teams or leading virtual teams. By their very nature, virtual teams are dispersed so the virtual delivery format fits naturally. Plus, you are training them using the tools they need to master themselves. And of course, another benefit is if the training is for a specific virtual team the shared training experience strengthens the team itself. The types of training solutions that are more challenging when delivered virtually are those where we are trying to change ourselves or others. Topics such as assertiveness or self-efficiency need to be thought through and developed carefully if they are going to be more than an information dump. Here the coaching aspect is far more important. Finally, and perhaps surprisingly, management and leadership training can work really well when done virtually. Our Driving Performance solution is a good example of this. The secret here is to emphasize the bite-sized learning, provide additional resources outside the session e.g. flipped classrooms with relevant videos and articles, and provide opportunities for one-on-one conversations too. Please see the posts below, or start here. https://www.targettraining.eu/wp-content/uploads/2017/04/Fotolia_141439964_M.jpg 1194 1592 ian taylor https://www.targettraining.eu/wp-content/uploads/2013/04/logoWP.png ian taylor2018-09-10 13:59:422018-11-20 11:48:22Virtual training v. face-to-face training: How does it compare? When we run seminars on influencing skills we typically start off by exploring a couple of fundamental questions – one of them being how do people feel about the idea of influencing others and being influenced? Over the years we’ve had a surprising range of responses including “If I’m the manager why must I influence -people should just do what I say” to “influencing is manipulating” to “I’m open to new ideas and approaches – but our colleagues in the order management department aren’t!”. As a trainer these are always great places to start – opinions are on the table and we can openly discuss them. When we dig deeper these opinions often link into personal experiences of how people have influenced (or not). So how do people influence each other? Broadly speaking there are two approaches to influencing people – to push and to pull. When we “push” we are directive. We know what we want to see happen, where we want to go, what needs to be different etc. And when we “pull” we are looking for a joint agreement, for collaboration, discussion, commitment. There are different pushing styles and pulling styles, plus strategies, tactics and skills to learn BUT neither approach is inherently wrong. Influencing and manipulating draw on the same skills but with different intents. They both have pros and cons– and neither approach work without considering other key factors too. how do they take in information and make decisions? what turns then on? What turns them off?? what do they want to happen, not want to happen and why? Who else has an influence upon them? and does this influence help or hinder? What is in it for them? their colleagues? Their organization? In English we have expression like put yourself in their shoes, put yourself in their place, see the world through their eyes and walk a mile in their shoes. And of course the idea of putting yourself in somebody else’s shoes is transcultural! Germans say eine Meile in seinen Schuhen gehen, Italians mettersi nei miei panni, French se mettre à la place de quelqu’un … All cultures- whether it be Europe, the Americas, Africa or Asia and the Pacific have similar expressions. Put simply, if you want to influence somebody then seek to understand where they are and who they are. Start by understanding their situation, use your emotional and social intelligence and then adapt. And if, like me, you’ve got the song “Walk a mile in my shoes” going around in your head now .. here it is. According to Shelly Setzer of the Table Group, peer-to-peer accountability is “probably the toughest behavior to master on a team”. And as cross functional, matrix and virtual teams are becoming the norm, holding each other accountable to team goals and commitments is becoming even more challenging.. As a team member, you aren’t “the boss”, which means you don’t have the levers of reward and coercion and in some cases, your team may just be one among many for your team members. So how exactly do you approach conversations with colleagues who aren’t doing what they said they would do, without the benefit of formal power ? This is where the DEEP model comes in. The DEEP model is designed to help you have a clear approach to tough accountability conversations. It helps you and your team focus on solutions when accountability problems arise. These kinds of conversations are rarely easy, but with DEEP you can approach them with confidence. Turn up – Be present in the conversation, shut out unhelpful self-talk, keep control of yourself and focus on the conversation and the outcome. Stay there – Show you are committed to the conversation. Don’t cut it short when things get awkward. Speak out – say what you think and feel and take responsibility for your words. Am I the right person to have this accountability conversation? The consequences of the shortfall you mention here should be concrete and observable. What actually happened because they didn’t meet their commitment is far more important than what could happen. Finding consequences your partner already cares about adds impact. Generate at least three options when considering what to do. The “at least three” is very important – is helps you to avoid binary thinking and unnecessarily taking a position. Brainstorming options together is critical. The together points you both in the same direction, reaffirms the “team” and ensures you are on the same page before assessing your options, Make it a distinct step with a marker e.g. “Ok, together let’s now brainstorm what we can do” – this moves your conversation forward. Decide and commit to new behaviors. It can be important to find ways you too can commit to the correction of the shortfall and the development of your relationship. Accountability for behaviors is tough so why should only one person carry the weight? Finding ways to help each other will not only help you to implement a solution, it will also help you to increase your level of trust. What does Miles Davis have to do with managing high performers in business? Good question. Miles Davis is rightfully acclaimed as an icon of jazz, but he didn’t make music alone. Throughout his career as a bandleader, Miles worked with other iconic figures of jazz to create music that stands even today as among the highest forms of the genre. John Coltrane, Herbbie Hancock, Wayne Shorter, “Philly” Joe Jones, Keith Jarrett, Ron Carter, Tony Williams and many others among the giants of jazz graduated from “Miles University”. Miles Davis, time and time again, brought together some of the most talented musicians in their own right to work with him in his musical exploration. How did he do it? This article will explore the lessons of Miles Davis in the art of leading the best to be their best. Miles Davis was able, on many occasions, to put together bands of some of the most talented musicians of their time throughout his career. Miles’ reputation clearly preceded him. Receiving a call from Miles was seen as having achieved a high level of musicianship. But that wasn’t the only reason so many musicians with promising solo careers agreed to support Miles. They believed they would learn something based on Miles’ excellence as a musician and band leader. Miles greatness was easy to see through his performances, compositions and recordings. How easy is it for high performers to recognize your excellence? There is a tendency among many leaders not to “toot their own horns” about their own performance and accomplishments. While a leader may not need to sing his own praises, it is important that someone does it for him. A leader’s excellence will attract others who want to achieve the same level of competence, while increasing the leader’s credibility and ability to guide, mentor and teach. Miles’ great combos included players with different styles and tendencies. He hired players who would complement his playing and each other’s. He didn’t need anyone who sounded like him because he had that covered. In business, it can be difficult to avoid the temptation to hire people who mirror our backgrounds, experiences, styles and tendencies. After all those competencies served us well in our careers. It is important to remember as a leader that our success is a reflection of the past while we are hiring for the future. The pace of change doesn’t only require different technological skills it also requires new communication and leadership skills from those current leaders needed at earlier stages of their careers. Hiring teams with complementary but different skills and areas of expertise broadens the set of problems they can solve and increases their impact on the organization. Miles’ bands grew into cohesive units through performances, not rehearsals. Each performance created a wealth of learning opportunities for Miles and his band mates. The urgency of the moment created a focus and intensity that would be very difficult if not impossible to reproduce in a rehearsal. By focusing on playing together and learning from the experience, Miles could correct on the spot, encourage and support his band to take risks, push themselves and reach new heights of excellence. How often do you perform with your high performers? Finding opportunities to produce excellence together will give you more chances to learn from each other. Related to lesson three, play together and produce excellence, is the style of debriefing and guidance Miles offered to his band mates following their performances. Miles didn’t put a group together hearing the music he hoped they would produce in his mind, then correcting them to come as close as possible to his vision. Miles believed in an experimental approach to developing new music. When reflecting about what took place in performances, Miles would say what his band mates shouldn’t do but he wouldn’t tell them what to do. He hired them for their expertise on their individual instruments. He wanted them to bring their ideas to the table so they could take ownership of their performances and the product of the group. The high performers in your organization reached a level of success before becoming members of your team. When managing high performers, take advantage of their creativity and input by channelling, not directing their contributions to the organization. Deep listening is the art of hearing not only what is said but also what isn’t said. On stage, Miles had the opportunity to lay out and listen to what his band mates were playing. There were times when while reaching for new forms of expression, the band lost its way. By listening to what wasn’t there, Miles could enter the fray at the right moment with the phrase that would bring the other players back together again, finding a groove that was satisfying to the musicians and the audience. Look for your opportunities, especially in conflict, to find what isn’t being said and remind the participants in the argument that they are on the same team. Listen for agreement that the parties may be missing, summarize, and encourage them to listen deeply to each other when emotions run high. “What I am hearing is…” is a great way to interject. With our busy lives it may be tempting to leave work at work and leave life at home. We can get through our workdays without sharing with others the experiences that shaped us outside of the work environment. Miles believed knowing the personal histories of his band mates was crucial to being able to know them musically. He invested time in learning about the backgrounds of his band mates and he shared his own. This sharing created an environment of trust that helped his musicians to work with each other more closely. Be willing to be more open when you are managing high performers as it can lead to more effective, trusting relationships. A deeper bond of respect can increase loyalty to you, and commitment to your organization and its goals. On leadership: Here are a few blog posts on the topic. If you are interested to learn more about our leadership skills seminars, please contact us, or take a look at the very popular seminar “A practical toolbox for managers”. A study in Europe, the US and Brazil revealed that 67% of employees avoided colleagues due to bad feelings lingering from conflicts and that 27% of employees have witnessed workplace conflicts turning into personal attacks. Over the years working with project managers on resolving conflicts, I’ve developed simple and practical approach to handling conflicts at work. The dictionary defines conflict as ‘a serious disagreement or argument, typically a protracted one’. A conflict at work is more than just a difference of opinion with a colleague. There is an emotional component and you feel a tightness in your guts, a knot in your stomach. “What triggered the conflict?” is the most important place to start. Here are the 4 largest causes of conflicts in the workplace. Goals The cause of the conflict is mainly about goals. Imagine a strategy discussion where one manager wants to focus on client relationships, the other on improving on the website. Resources Here we are talking about resources, often people and budget. Manager “A” wants people for a project team, Manager “B” does not want to release anyone. Or this budget increases, whilst another is cut. Processes It’s not unusual the managers will often disagree on methods and procedures. One manager wants to run the project on Prince2 principles, the other on the principle of whatever works, works. People This is about people and relationships. If you have a good working relationship with the other party, you probably do not have a conflict. If you disrespect or dislike the other party, you will have conflict. And this problem isn’t necessarily resolved – even when agreement on goals, resources and processes is possible. Here’s a simple preparation format for analysing a conflict and preparing for the discussion. In other words, you buy time before addressing the issue and “the other party”. Solving conflicts is tough and draining for everyone. Managing conflicts is a concrete and valuable skill – and one which you can develop. Analysing a conflict may help you see that it is more a difference of opinion and judgement, not necessarily a conflict. But it can also make you see discussing resources and procedures is a smoke screen and a diversion from the root conflict, your relationship to the other party. Practical issues are more easily addressed; relationship issues are trickier to talk about. The above analysis questions will always clarify where the conflict is coming from and therefore make it easier to generate solutions. It will often indicate that the root cause is personal, i.e. resentment, envy, or even chemistry. So can you put your emotions on the back burner and seek a common solution that benefits your organisation? Are you prepared to talk frankly with the other party and clear the air? 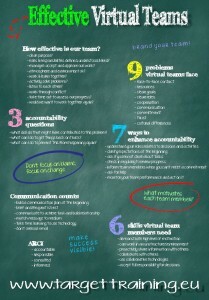 In order to be effective your team needs a number of key elements to be present. 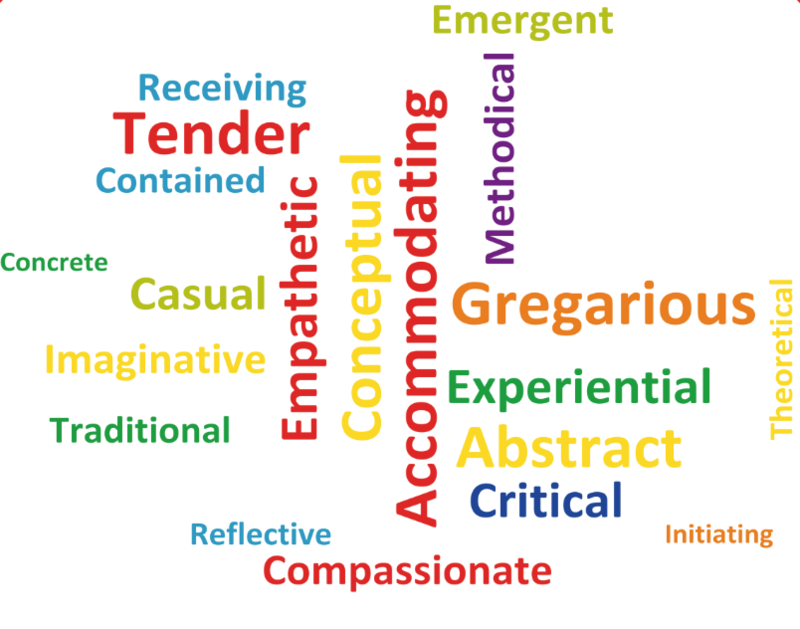 Elements such as clarity of purpose, shared awareness of roles and constructive communication. These elements are not difficult to achieve but they do take focus and effort. Take a moment and ask yourself two simple questions – How many teams are you currently part of? And how effective are these teams? The first question is easy, but the second? Working in teams is so common for many of us that we just don’t take the time to reflect on how effectively we are actually performing – and so we miss an opportunity to develop ourselves, our team and our impact on our organization’s goals. Researchers have shown over and over again, that these elements are essential for effective teams. Businesses which recognize their importance and work at maintaining them, are rewarded with teams that consistently perform and achieve their targets. Ignoring them leads to unachieved goals, wasted potential and demotivated staff. Do we have a clearly defined purpose? Are our roles and responsibilities well-defined, understood and followed? Do we have the tools and resources we need to achieve our objectives? Do we listen to each other? Do we all actively participate in problem solving? Do we work constructively through conflict? Does our team leader approve of our work, providing relevant and specific feedback on whether we are meeting expectations? Do we work and learn together? Do we take time out to assess our progress? Would we work together on another team? Effective teams should be expecting to score 40+. Outstanding teams score 45+. What did you score? And what are you going to do now? 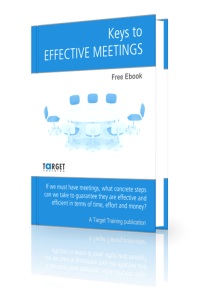 Why not check out Target Training’s seminar on building effective teams? Click here for more information. Yes is one of the most simple words to understand in the English language. Or is it? Yes is generally perceived as a positive response, and when you’re asking for something in business it’s normally the answer you’re hoping for. My father thought this when he started an importing company in China. On his first few trips to the country he returned having already mentally calculated the profits he was set to make from the customized, high quality parts they had supposedly agreed to put together within weeks for him. The only problem was he didn’t understand the word ‘yes’ like the Chinese did. Fast forward to now, years later, and he knows that ‘yes’ means something very different in China. When saying ‘yes’, Chinese colleagues only mean that they are listening to you, rather than that your request will be fulfilled or that you have been completely understood. Many problems stemmed from this simple misunderstanding and while now there is a good business relationship between my father and his suppliers, much time was wasted getting to such a point. Artist Yang Liu summed up many of the big differences between Chinese and German cultures in her artwork of the two against one another, from little things like attitudes to standing in a line to how the counterparts view their bosses. As an inhouse business English trainer in Stuttgart I provide on-the-job support to my client, a department of global purchasers. During the last months , I have come across many participants having to learn the hard way how to get around countless misunderstandings. From our sessions on cultural competence in China, my purchasing participants have shared experiences and identified five common lessons which speed up the process of making a business relationship with a Chinese colleague prosperous. Chinese colleagues are not interested in individual gains nearly as much as helping the community around them. It’s what the culture is built on and giving individual gains for doing work will not be as effective as creating a positive and motivating team. The boss is highly valued in China, much more so than in Germany. When a problem is getting to a point where it doesn’t seem possible to solve it, get your superior involved a lot earlier than if you were dealing with a colleague from the same culture or at least bring up the possibility in discussions. Whether it’s struggling to say no when they can’t do something, or insisting that everything is ok when it’s not, the Chinese don’t like to directly discuss and deal with a problem or talk about their shortcomings. Learning some ways to politely ask what the problem is, or getting them to take you through their schedule and deciding for yourself if there is a problem, will give better results than simply asking ‘is everything ok?’. Chinese colleagues will often treat meetings as more of a lecture than a chance to swap ideas and air their grievances, particularly if the boss is present. On a recent trip to China, a translator summed it up well for me in her comparison of our school systems. “For us, we are told what to know and we don’t question it. For you, discussion is encouraged and you are taught to challenge.” Push them to express themselves and know that they’re not entirely comfortable doing it. The Germans are known for seeing small talk as inefficient, but if you want a Chinese colleague to do you a favour you would be a lot better off adding some polite phrasing and extra niceties. It makes them feel as if the workplace is more harmonious and while being direct is more efficient, when they give excuses rather than results such efficiency is out the window. I think you did this wrong. Perhaps next time we could try it like this instead? You need to do this by Wednesday. If you could do this by next Wednesday, the team can achieve their results. I will have to get the boss involved if you don’t agree to a solution. Is this a problem that we can solve ourselves or do you think our superiors should give us assistance? Do you understand? Could you summarise for me what you need to do (to make sure we’re on the same page)? Are there any problems with this? Please let me know if there are any ways that you can do this more efficiently, because that would really help the team. Did you get everything finished today? What did you finish today? Do you want to learn more about the Chinese culture? If you have any tips or comments on dealing with the Chinese, I’d love to hear them (and so would my participants). Please leave your comments below. Social media: Love it or hate it, it’s here to stay! It is often said that we live in a world which is becoming more and more transparent. Communication and how it is carried is constantly changing and this brings new opportunities and challenges. People are expected to keep up with these changes, both in their personal as well as in their work lives. The problem comes in when there is a disconnect between what people are expected to be able to do and what they are really able to do. This is the situation some of my participants are facing at the moment. The multinational company where I provide training has, like many other companies, implemented a social media platform which it expects employees to embrace, use and add information to. That sounds reasonable, you might say. The problem is that many of my participants don’t use social media in their personal lives, there is only limited training available and there isn’t always time to learn about the tools and their use. Did I mention that everything also needs to be in English? Together we came up a possible checklist to help new social media users figure out which questions they should ask to help them start learning the basics of using social media at work. I hope you find it useful. Do you know the difference between a wiki, a blog and a forum? Can you give examples about different ways to use each of these? How is your company using them? Where can you find them or how can you access them? In addition to the tools themselves, there are many words which users also need to be familiar with. What is an entry, a comment, netiquette? How about a tag, a news feed or a blogosphere? Which tools are you expected to use? How are you expected to use them (i.e. read only, add comments, write entries, add links, etc.?) How often should you contribute? Should you do this alone or in a group? Does your department have a site which has already been set up? Are you expected to contribute to an existing location or create your own? Do certain key users need to be contacted before additional groups, sites or pages are added? Should information be updated in previously used systems or only in the new system? Will the information be migrated to the new system? What are you responsible for maintaining? Is it your job to make sure that the information is always up to date? How should you do this? Is there anyone who can help you? Which steps do you need to know how to do to change information which has already been added to the system? We’d like to hear from you. Which challenges do you face when using social media for internal communication? How did you overcome initial challenges? Which tips do you have for other users? Feel free to share your ideas below. https://www.targettraining.eu/wp-content/uploads/2018/04/Fotolia_77011002_S.jpg 543 884 Lynn Brincks https://www.targettraining.eu/wp-content/uploads/2013/04/logoWP.png Lynn Brincks2015-07-22 13:39:342018-06-06 12:29:30Social media: Love it or hate it, it's here to stay! Because the player in the outfield had their backs to home plate they had to train their ear to know what part of the field the ball was travelling to, based on the sound created when the baseball made contact with the bat. If you’ve ever seen a baseball game (or cricket) you know you can hear when a ball is hit solidly. But you can’t determine where it is going to travel. This manager wanted his players to hear the contact, and make a split-second decision to race to the position they believed the ball was going, without even seeing it. With practice, players knew exactly where the hit ball was going. They had to learn to listen. Are we “losing our listening”? TED, the great, freely accessible online source for learning, has what I think are two of the best talks around on how to achieve excellent communication. Both are by Julian Treasure, author of an excellent book on the impact sound has on our working lives called ‘Sound Business,’ and both are well-worth watching. In one, he talks about speaking well and in the other, the one I suggest below, he talks to us about listening. That is, actually pay attention to what they’re saying. By making natural small noises or utterances like, “ah” or “hmm” or “okay.” You may have also heard it referred to as active listening. 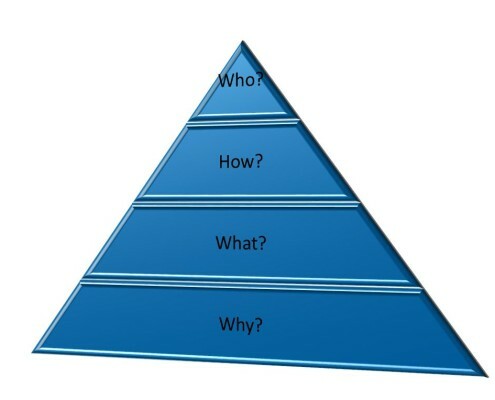 Very crucial to all sorts of business communication, from presentations to negotiations and everything in between. Here it’s critical you are authentic and summarise what you heard – NOT what you wanted to hear. And finally, ask questions. Find out more. Learn as much as you can about a situation, a trend, a project, a risk, or an opportunity. Don’t lose yours. Listen like a Major League player. And Always Listen First.